Pat was 62-years-old and was diagnosed with early onset Alzheimer’s disease five years ago. 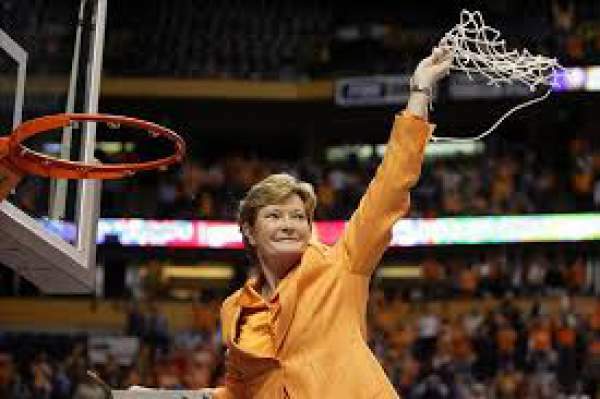 She had been the coach of Tennessee women’s basketball team for a very long time. She started coaching the team in 1974 which continued until 2012. Under her coaching, the teams won 1098 matches and eight national championships. She got the title of a most winning basketball coach in NCAA Division I history. Summitt started coaching the Tennesse team when even the NCAA didn’t formally recognize the women’s basketball. The sponsorship of the sport began in 1982. Summitt was the fourth in five siblings who were born on a farm in Tennessee. The early days of the organized women’s part of the game basketball thrived in rural enclaves in Tennessee and Texas. At that point of time, the women couldn’t be told of the lacking endurance to play sports. Moreover, Summitt once coached the women’s team of United States basketball, and they won a gold medal at the 1984 Olympics. For it, she was awarded the title of a Presidential Medal of Freedom in 2012. A “public celebration” of her life is being planned and will be held at Tennessee’s basket ball arena in Knoxville.